Each seal is supplied with fitting instructions, adhesive and stainless steel worm drive clips/clamps to suit diameters. For pipe diameters of 350mm and above ‘double clipping’ is required. 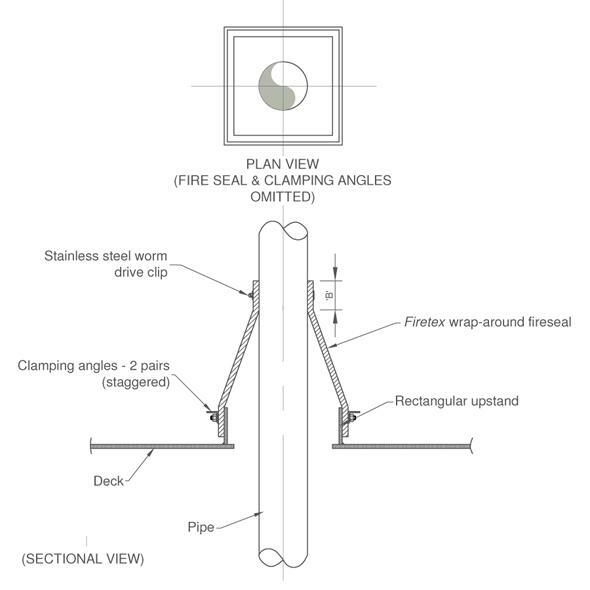 The deck penetration featured here may also be applied to a bulkhead penetration.